It’s a pretty rainbow of “busy” lately in the CJM Imaginarium©! 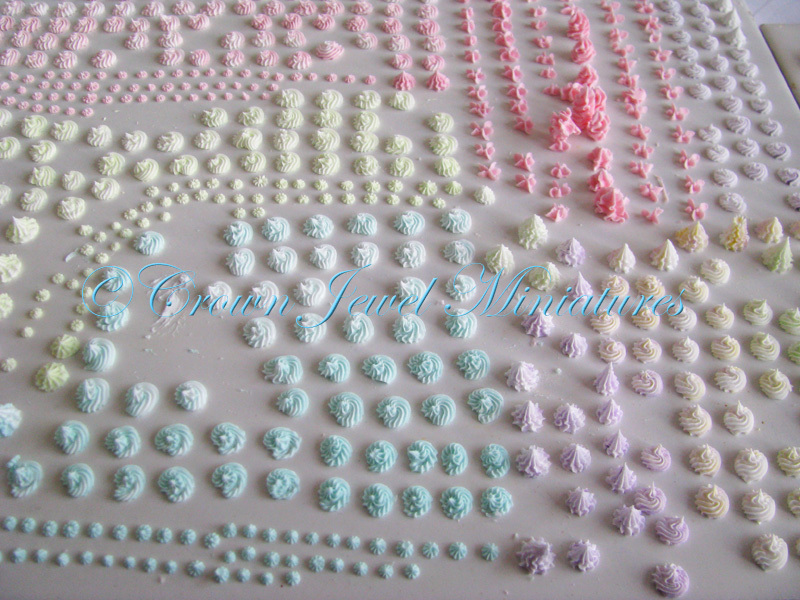 I’m preparing cupcakes and tarts for Easter and my tile is full. It’s hand-piped mini whipped cream gone wild! 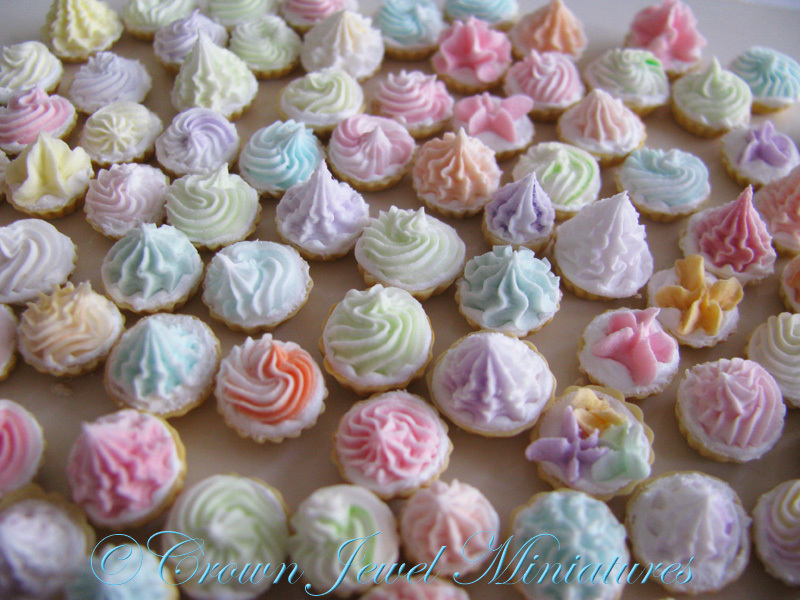 It’s a pretty assortment of marshmallow stars, dreamy swirls and tasty towers of whipped cream, frosting and lightly baked pastry casings. The custom mixed, pastel colors are delicate- perfect for Easter, birthdays and luscious “Marie Antoinette” desert collections. I just got a glass shipment in from the extremely talented Philip Grenyer of Glasscraft. 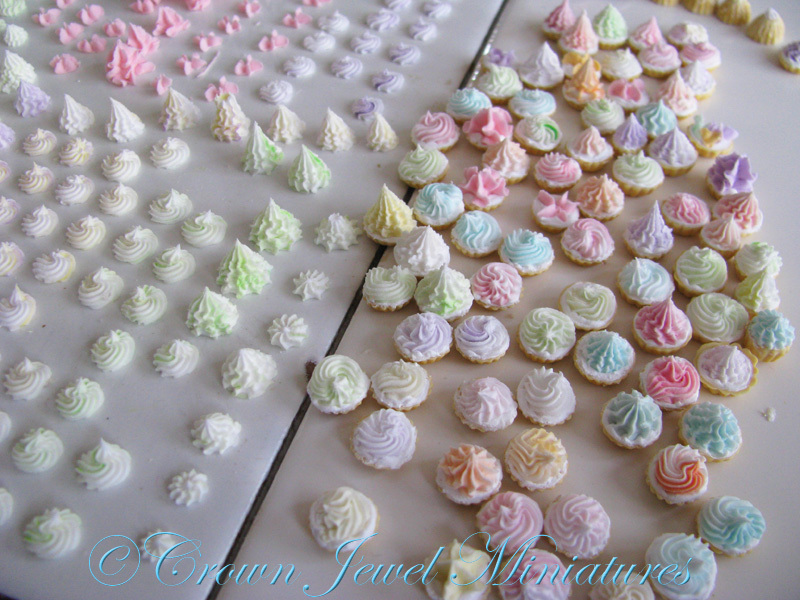 As soon as I arrange these little lovelies on miniature displays I’ll list them in my Etsy shop!